As you all know, I work on a per article basis as the D.C. Literature Examiner. Not only do they have a referral program (Thanks, Marie, for signing up), but they now have a sponsorship program for local examiners. Anyone interested in sponsoring me? If you are, just visit the site and follow the instructions. Once you sign up, you get a 300 X 250 ad space on my site. What could you use the space for? Advertising products, services, your blog, your blog events, and more. Prices start at $29 and you can upload your own JPG or Gif advertisement or create one from the templates available in a wide variety of categories. I’m sure you want to know what I get out of the deal. My pay rate increases for sponsored articles about local events, authors, and books, which will make it easier for me to get to more local events and provide even more content for subscribers and all of you. Thanks for reading this blog post, though traditionally I don’t talk business and advertising here. I hope you’ve been enjoying the recent content at the blog and D.C. Literature Examiner. I’m sure Anna would love a sponsor too for her Baltimore Literature Examiner page as well, but she’s too shy to ask. Sometimes, I have an opportunity to interview an author, even though I don’t have time to read their novel. In this case, I’ve interviewed a Christian fiction author, Michael Landon, Jr. If this name sounds familiar, it should. 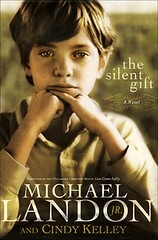 His father was the same Michael Landon of Highway to Heaven and Little House on the Prairie fame. Check out my interview on D.C. Literature Examiner, here and here. I’ve been a busy bee over at D.C. Literature Examiner, interviewing fiction authors and poets. 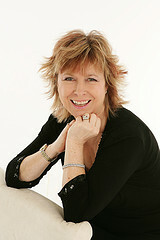 Jill Mansell took time out of her blog tour schedule to answer a few questions about her latest U.S. invastion, Perfect Timing (click on for my review). Jill talked about the book, her inspiration, her writing, and her reading habits. Check out her interview, here and here. 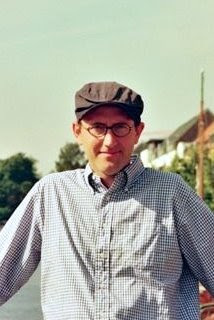 I’ve also had the pleasure of interviewing Garth Stein (Photo Credit: Frank Huster), the author of The Art of Racing in the Rain (click for my review). 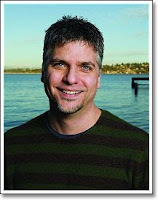 You can find out what Garth’s working on now, what he’s reading, and his obsessions. I also asked a bunch of questions about Enzo and his narration of The Art of Racing in the Rain. Check out the interview here and here. 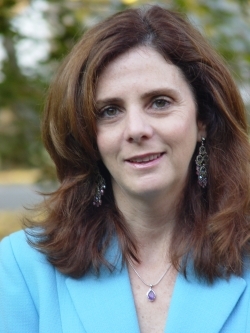 Most recently, I had the pleasure of interviewing poet Lynn Levin, author of Fair Creatures of an Hour (click for my review). We discussed her collection, her obsessions, and her latest reads. From John Keats and how he inspired her collection’s title to other poets that have influenced her, Levin clearly knows her poetry and her passions. Check out that interview here and here. I recently reviewed Sandra Dallas’ Tallgrass here on Savvy Verse & Wit (click on the title for my review). Ms. Dallas graciously submitted to an interview for my D.C. 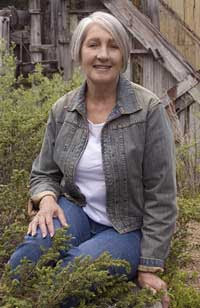 Literature Examiner page where we discussed Tallgrass and her writing process for the book. Also in honor of Cleopatra’s Daughter’s debut in stores, I had the opportunity to interview Michelle Moran here and here. I also should have a list of winners from Book Blogger Appreciation Week later this week. Also, I’ll be headed into D.C. at the end of the week for National Book Festival. I just wanted to take a moment to recap some goings on here at Savvy Verse & Wit and at D.C. Literature Examiner. I started out pledging to read 5 books for the War Through the Generations: WWII Reading Challenge, and I met my goal. However, I think I’ll probably read some more books for the challenge throughout the year, but for now I’m officially saying I’ve finished this challenge. I also recently signed up for the Everything Austen Challenge in which you could mix and match movies and book reviews. I just have to read or watch 6 books or movies through January 2010. 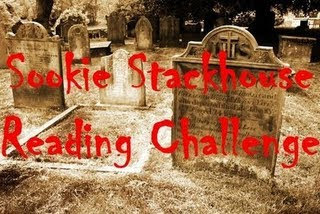 I joined the Sookie Stackhouse Reading Challenge as well; you might be thinking I’ve lost my mind. 1. 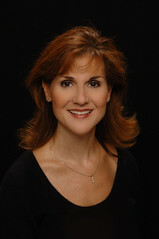 Susan Helene Gottfried here and here. 3. Kyle Semmel here and here. 5. Joseph Sohm here, here, and here. I hope you will take the time to check out some of these great interviews and reviews and leave a comment or two. If you missed my review of Visions of America, please check it out. 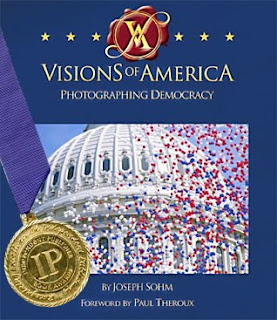 In the meantime, Joseph Sohm, author and photographer of the book, took time out of his busy schedule to answer a few questions. Please check out the first part of the interview at D.C. Literature Examiner. More of the interview to come over the next few days. I’ve been regularly posting articles at my D.C. Literature Examiner page, I hope everyone had been following along. 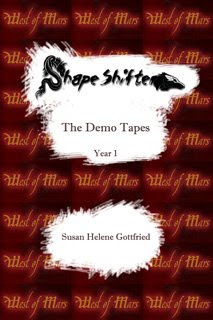 The latest post is my review of Shapeshifter: The Demo Tapes Year 1, but you can also find links to my two-part interview with Susan Helene Gottfried at the end of the review. Anyways, Examiner.com is expanding the number of locations they cover, and if you live near or in the newest 20 locations, let me know, I can send you some referral information. 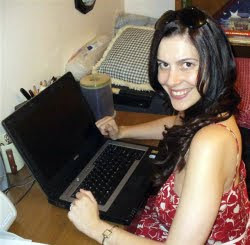 It would help me out as well, if you signed on with Examiner.com and started earning money for yourself too. Feel free to join us, earn some money, and spread the word about your local area to online readers. You might remember Rosemary Winslow’s first interview on Savvy Verse & Wit where we talked about her writing habits. You also may remember my review of her book, Green Bodies. 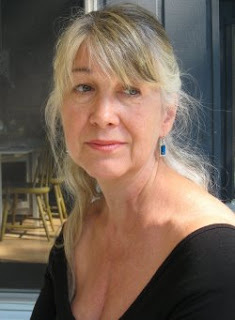 Recently, she kindly agreed to answer some more pointed questions about her book, its cover art, and contemporary poetry for Examiner.com. I hope you will all check it out because this will be a first in a number of literary interviews on my D.C. Literature Examiner page. If you haven’t signed up for email alerts for my latest posts or as a subscriber and you love reading, authors, and poets, you are missing out on some great articles.